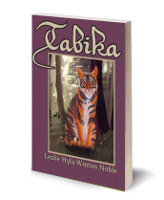 Tabika, the remarkable cat we grew to love in book 1, continues his exciting escapades in the delightful follow-up to the first book. I enjoyed this book even more than Tabika 1, simply because the writer has such a lovely way of capturing Tabika's personality. In book 1, we read all about how Tabika (the furry feline whose unusual colouring and striped markings are often compared to those of a fluffed-out tiger) was magically whisked away to the countryside by a grateful bee-fairy. Following his arrival, he quickly amazed – and in most cases befriended – the various creatures in and around Green farm. Unfortunately a mouse-fairy wasn't too happy with his presence but was persuaded (albeit very reluctantly) to allow him a day in which to convince the cat-hating Mr Green to keep him on as the Green farm cat. What follows is more mischief and action than ever. Between rescuing the green farm twins, nearly giving up his life for a certain risk-taking rabbit and bringing about the downfall of some crooks (with a little help from his animal friends, of course), Tabika certainly has his paws full. The reason why Tabika ended up back in the city at the end of book 1 is also finally revealed, but whether he returns to Green farm is not for me to tell. You'll definitely enjoy every minute of his mishaps and adventures, and delight in the illustrations. It's quite impossible not to love a story with such wonderful and quirky characters – and whether you're a kid or an adult – you'll find yourself quickly swept up in this fantastical, easy-to-read and enchanting novel. Tabika is no ordinary cat. Life at Green Farm will never be the same after he is "magicked" there from Johannesburg by a grateful fairy. There are many merry meetings while he befriends the Green twins, the white Persian cat neighbour, the dogs and horses, the rabbits, and a remarkable owl. His attempts to purr-suade the cat-hating Mr Green and the local mouse-fairy to allow him to remain there lead to any number of hilarious happenings. No wonder the poor farmer is constantly saying, "I simply don't believe it!" 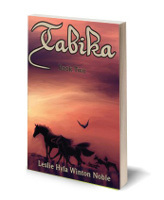 Tabika continues to tell of his wonderful experiences in becoming the Green Farm Cat. He and his group of animal (and one bird) friends cause many upheavals and much amazement. In this second half of his story he has a series of adventures which involve rescuing the Green twins and their Zulu friends, saving a silly rabbit at the cost of several of his lives, and causing the downfall of a gang of crooks. Finally, the mystery of why he is back in Johannesburg is solved. Humans of all ages owned by cats will love joining Tabika in his various romps and exploits.